Recipe by Alayna Flannery, www.alaynaflan.com. 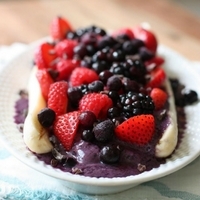 Blend frozen wild blueberries, frozen banana, and vanilla yogurt with water until smooth. Blend soaked cashews with milk until creamy. 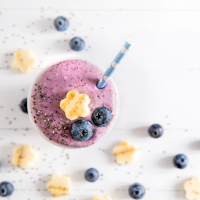 Top smoothie with cashew cream. 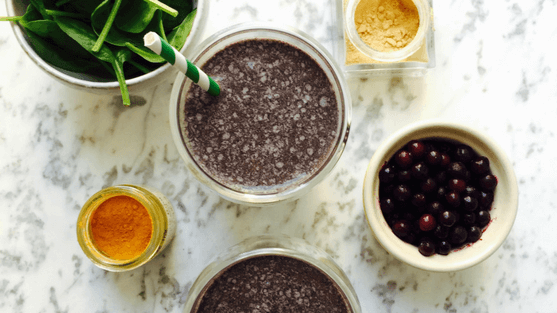 Feel free to stir in the cashew cream to make the smoothie super creamy!